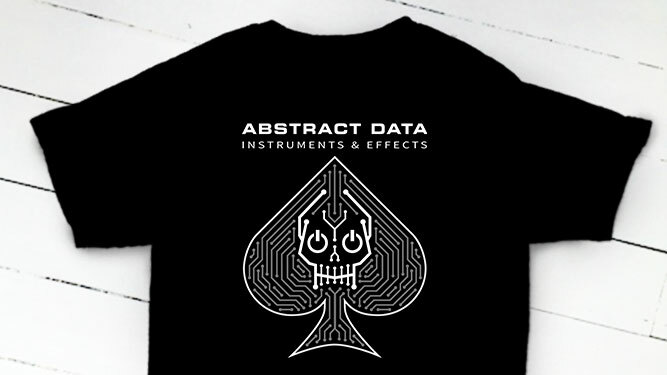 Abstract Data manufactures a range of electronic musical instruments, synthesizers and effects in Eurorack Modular and Desktop formats. This awesome circuit board / skull / ace playing card design from Justin is just brilliant - a bit like all his modules!!! You really should head on over and check out their stuff because it's highly functional and absolutely rock solid! Available in two options, a full-on chest print and a cool understated pocket print!